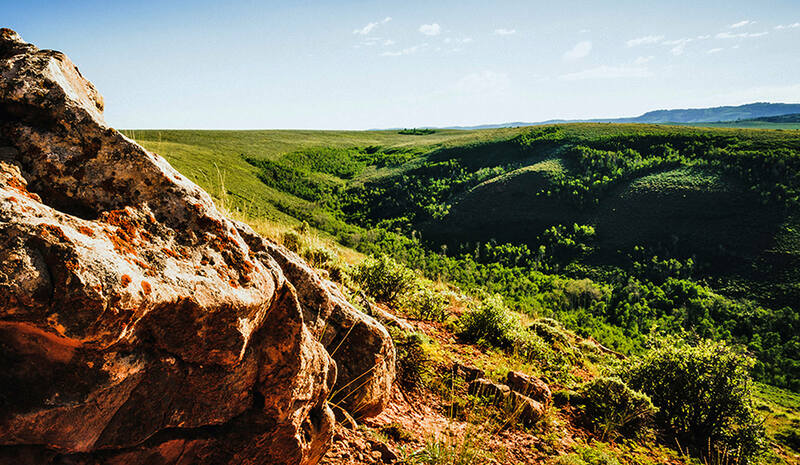 Birch Creek Hunting Reserve consists of approximately 8,595 deeded acres, plus an additional 640 acres of private-leased land, located eight miles west of Woodruff, Utah and within a 30-minute drive of Evanston, Wyoming’s jet-capable Burns Field. 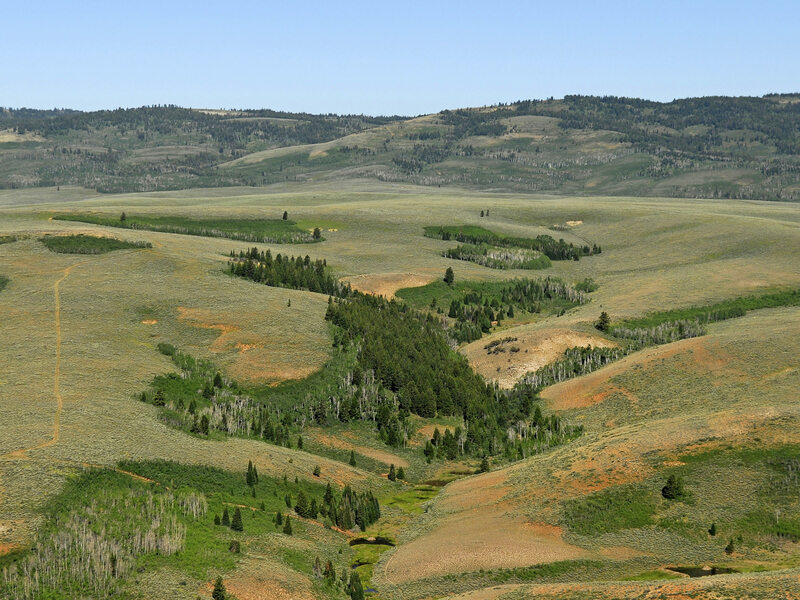 Historically operated for many years as summer sheep pasture by an old-line Utah ranching family, in 2008 the Reserve was acquired to take advantage of the outstanding elk and mule deer habitat. This premier hunting ground is included in Utah’s Cooperative Wildlife Management Unit (CWMU) program. Currently, the outfitter operating this hunting unit pays the Seller a flat fee of $60,000 annually to lease the land. 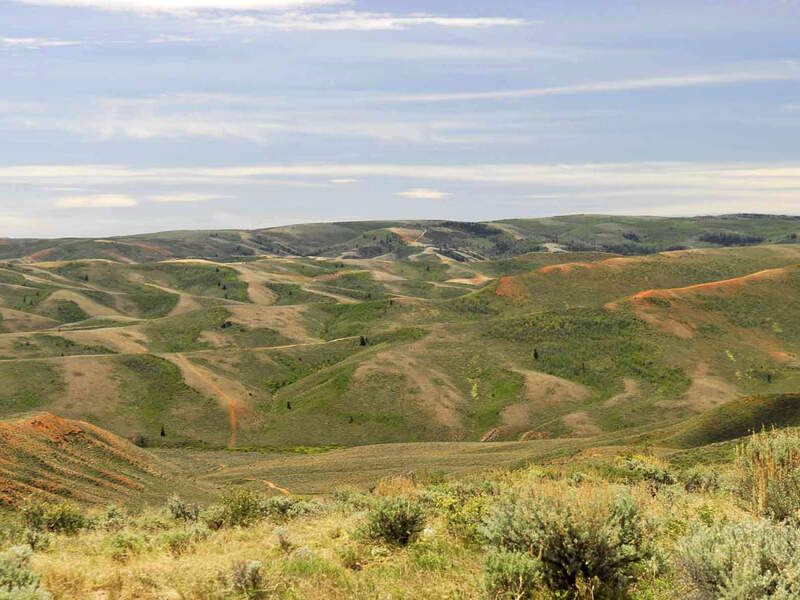 The internationally renowned Deseret Livestock Ranch, a 217,000-acre holding which has been carefully developed and managed as one of the premier elk and mule deer hunting destinations in North America, is located nine miles north of the Reserve. Birch Creek Hunting Reserve has benefitted from its proximity to “The Deseret” due to the north-south migratory patterns of the big game. 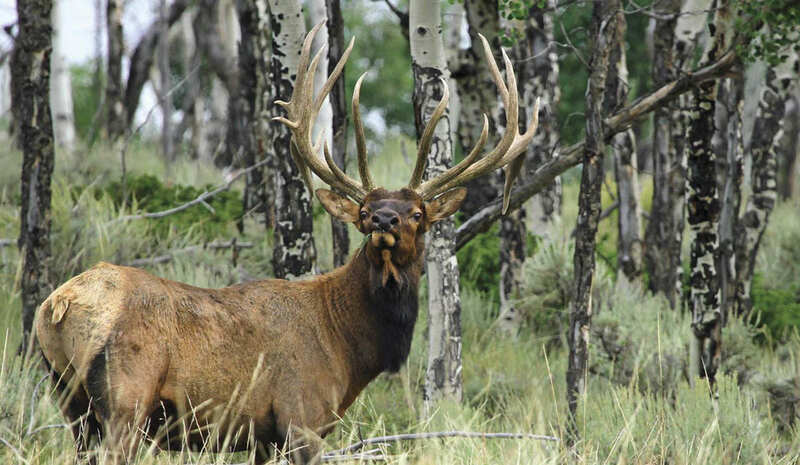 In operation for more than three decades, the genetics of the elk and mule deer herds have been carefully calibrated to enviable levels. Birch Creek Hunting Reserve has enjoyed the influence of its massive neighbor and will continue to do so for decades. THAT IS LESS THAN $600 PER ACRE FOLKS! Call Sam Sanders today for a showing. To learn more about CWMU's, please click here to read our Blog. 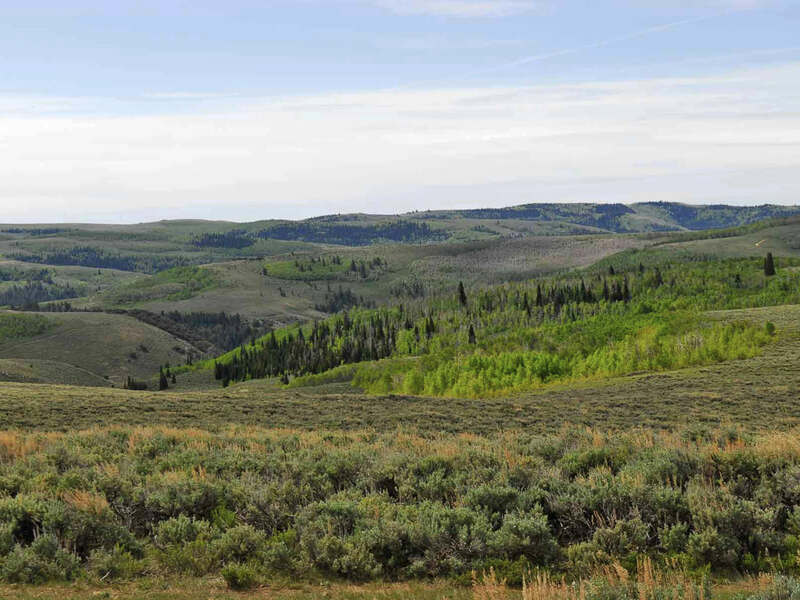 The Reserve straddles about two miles of the Monte Cristo Highway - Utah State Highway 39, with about 7,061 acres lying north of the road and the balance of the land, about 2,174 acres, lying to the south. Over 67 miles long, the Monte Cristo Highway, which is closed in the winter, is designated as one of Utah’s Scenic Byways. Throughout the interior of the Reserve are many well-maintained four-wheel drive roads creating easy access. However, the land truly lends itself to hunting on horseback or foot to track big game in the far reaches of this massive Reserve. Corporate jet-capable airports are located at Ogden, Utah and Evanston, Wyoming. Ogden-Hinckley Airport is Utah’s busiest municipal airport for private planes offering three FBOs (fixed-based operations), as well as commercial air service through Allegiant Airlines to the Phoenix-Mesa Airport. 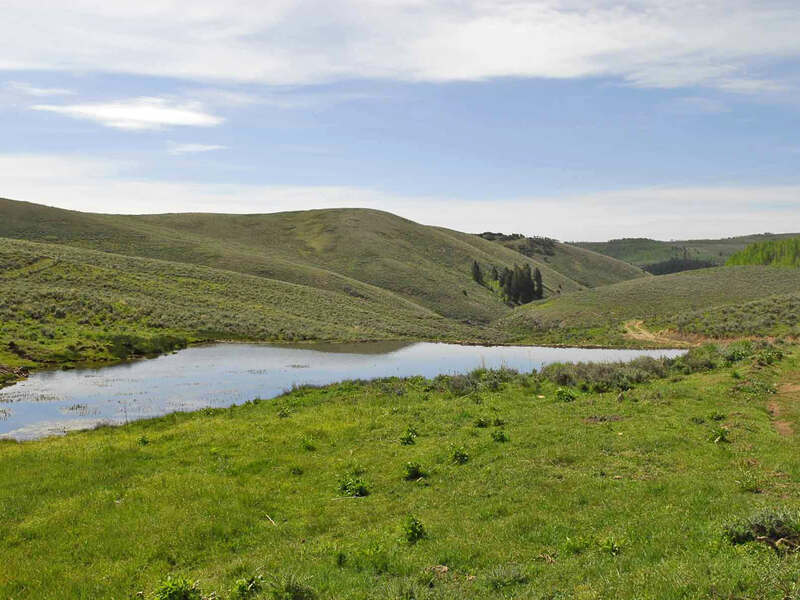 The north side of the Reserve includes an unfenced in-holding of about 640 acres which is leased to the Seller for hunting and grazing. The lease runs through the end of 2018 and will be assigned to the Buyer. The Seller also has an assignable Right-of-First Refusal if the in-holding is ever offered for sale. The annual cost of this lease is $5,500. The south side of the Reserve contains a small in-holding of about 5 acres upon which several summer homes have been built and is fenced out. 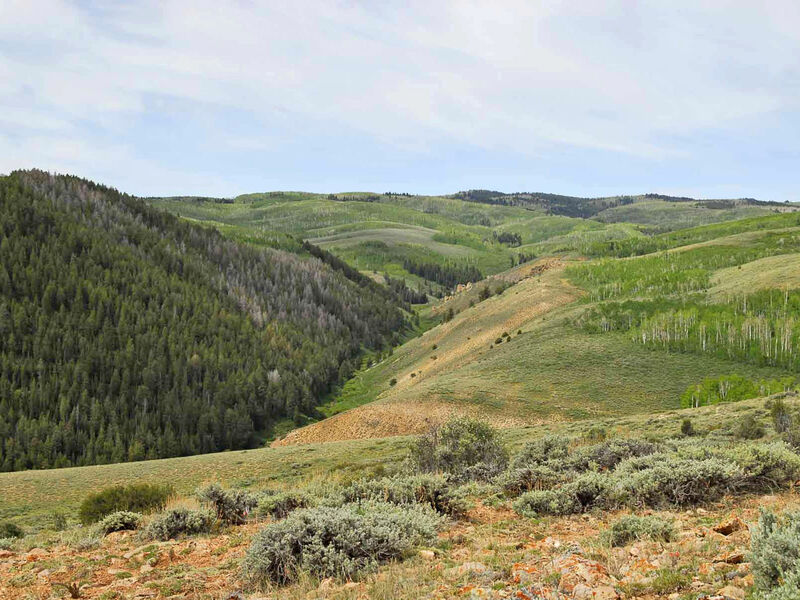 The entire Reserve has been placed in a conservation easement with The Rocky Mountain Elk Foundation. Two building envelopes have been reserved for future construction of homes or other improvements. That portion of the Reserve lying north of State Road 39 has a 10-acre building envelope, and that portion of the Reserve lying south of the road has a 5-acre building envelope. A local cattleman leases a portion the Reserve and grazes 282 cow-calf pairs from May 15th to June 28th allowing the grass to recover nicely before the hunting season. The lease is on a year-to-year basis with an annual income of about $6,300.00. The Reserve’s four-season climate is characterized by monthly mean temperatures ranging between 24 and 55.1 degrees Fahrenheit. Summer high temperatures average between 74 degrees to 82 degrees, with winter high temperatures ranging from 28 to 31 and winter lows averaging around 4 degrees. There are many sunny days in the area with about 60 freeze-free days per year between July 15 and September 15. Precipitation averages about 10 inches annually. Elevations on the Reserve range from 7,000 feet above sea level on the highway frontage up to about 8,100 feet at the high point. The Seller will convey 100% of whatever mineral and other subsurface rights which they actually own, subject to reservations by previous owners. The Seller makes no representation as to the quantity or quality of any mineral or other subsurface rights appurtenant to the Reserve. It is the Seller’s understanding that the majority of the mineral rights have been reserved by prior owners. The nearest utilities are eight miles east of the Reserve in Woodruff, Utah. Cell-phone reception on the Reserve is available at the higher elevations. Property taxes for 2014 were approximately $900.00. The Reserve is taxed under the Greenbelt Provision of the Utah Farmland Assessment Act. 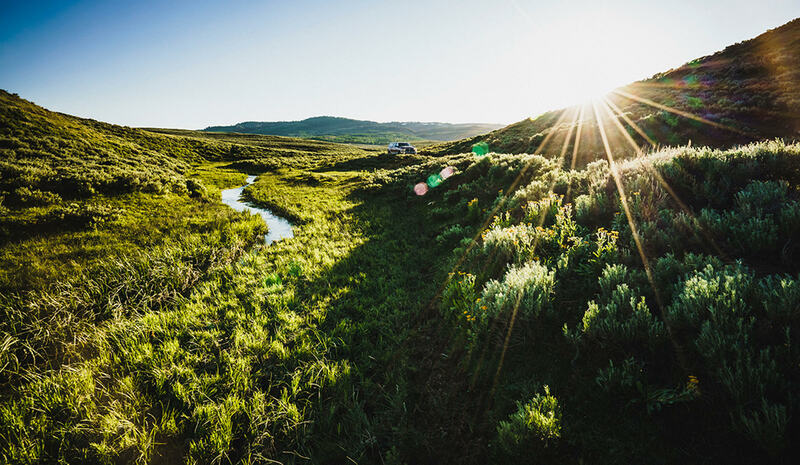 In 1969, the Utah Legislature passed the Utah Farmland Assessment Act which provided for qualified agricultural property to be assessed and taxed on its productive value instead of its market value. This law is commonly called the “Greenbelt” law. Should a Purchaser change the use on the Reserve, a five-year roll-back tax will be assessed and paid by the Purchaser. The Reserve is currently zoned by Rich County as Forest Recreation with a minimum building-lot size of 40 acres. For additional information, visit the Rich County website at http://www.richcountyut.org/building.html. 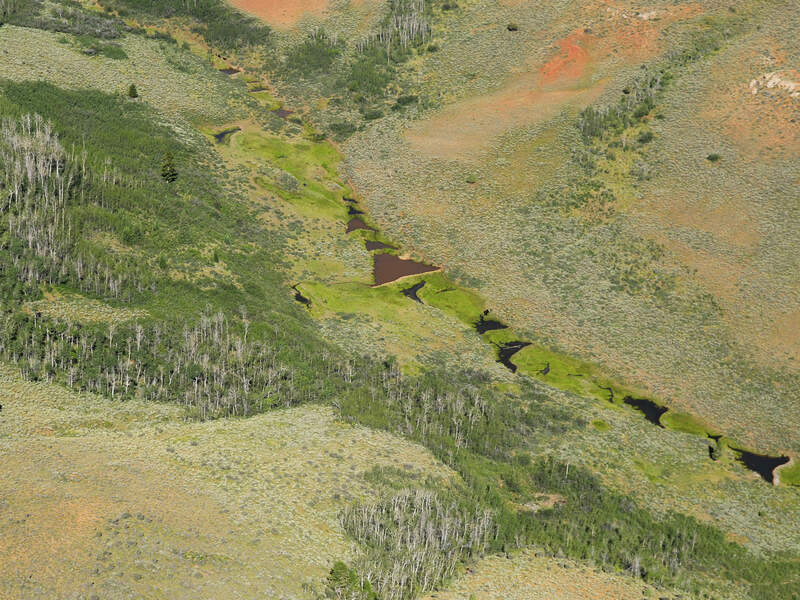 The Reserve has been wisely included in the Strawberry Ridge Cooperative Wildlife Management Unit (CWMU) authorized by the Utah Division of Wildlife Resources. The State of Utah utilizes a program known as Cooperative Wildlife Management Units (CWMU’s) to benefit hunters, private land owners, the state’s economy and its wildlife. CWMU’s are hunt areas consisting of mostly private lands that have been authorized for the specific purpose of managing big-game animals. 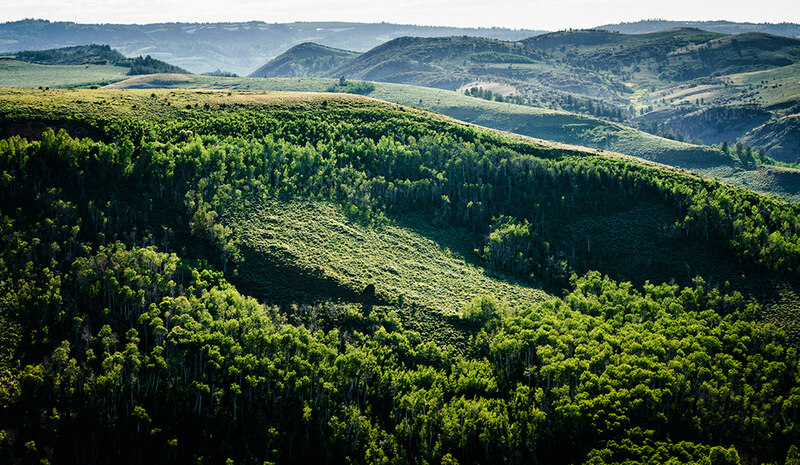 This Utah government program has opened more than two million acres of private land to the public. In order to qualify for the program, landowners must have a minimum of 5,000 contiguous acres to manage deer, pronghorn or turkey, and a minimum of 10,000 contiguous acres for elk or moose. Private landowners may join together to form a single CWMU. This program benefits landowners allowing them to better manage their private range and forest lands as wildlife habitat, improve herd genetics, and benefits hunters allowing them more opportunities to take an animal with fewer hunters to compete with. 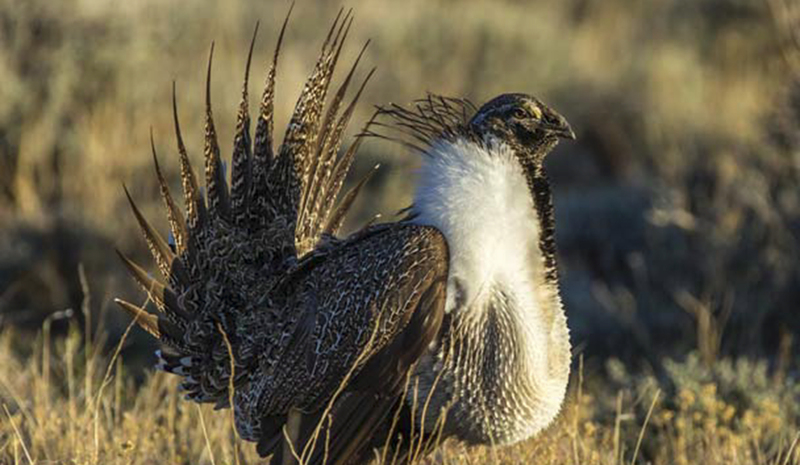 The CWMU program is an effort by the Utah Wildlife Board and the Division of Wildlife Resources (DWR) to recognize the contribution made by private landowners in providing big-game habitat on their private lands. In return, a number of public hunters that are drawn through the Utah big-game drawing are allowed to hunt specific big game on these CWMU’s. Currently, there are 115 hunting units throughout Utah. Once the CWMU permit has been established, the land owner will receive a specified number of tags dependent upon the characteristics of their property as determined by the DWR. A small percentage of tags is provided to the public through a draw system, and the remainder are provided to the land owner. Typically, the land owner will sell the majority of the tags to a hunting outfitter who will lease the property for running guided hunting trips as well as help manage the herd to improve genetics. Birch Creek Hunting Reserve, with 9,235 acres, is the largest individual property within the 24,000 acre Strawberry Ridge Cooperative Wildlife Management Unit. The outfitter operating this hunting unit pays the Seller a flat fee of $60,000 per year. If the Seller or family members desire to hunt on the CWMU, they negotiate directly through the outfitter for tags each year. The western portion of Birch Creek Reservoir is located on the northeast side of the Reserve. This hundred-acre reservoir, which was built in 1969 as an irrigation reservoir to serve the Birch Creek District, is stocked by the Utah Division of Wildlife Resources (DWR) and offers good fishing for rainbow, cut-throat and tiger trout. 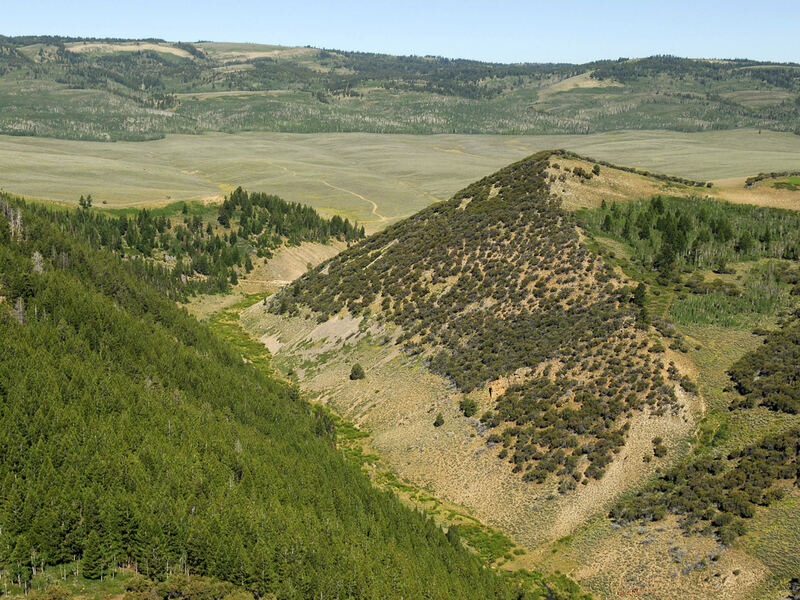 Birch Creek Hunting Reserve encompasses over fourteen square miles of prime elk and mule deer habitat located just 90 miles from Salt Lake City. Excellent private jet-capable facilities at Evanston, Wyoming are about 30 minutes from the Reserve. Over the last seven years a concerted effort has been implemented to manage the herds for trophy harvests and to enhance the big-game habitat. In addition to the land ownership and hunting benefits, the elements of the Birch Creek Hunting Reserve combine to provide an exceptional land investment opportunity. Only a few 9,000-acre blocks of mountain land in the Rocky Mountain West possess such fundamental attributes. Birch Creek Hunting Reserve is an exceptional and competitively-priced offering in today’s market. The Entire Reserve is offered at $5,100,000. All offers to purchase must be in writing and accompanied by an earnest money deposit in the amount of 3% of the Offering Price. All offers must also be accompanied with the name and telephone number of the Purchaser’s banker to assist the Seller and their agent in confirming the Purchaser’s financial ability to purchase the Reserve. The Seller will provide and pay for a Standard Owner’s Title Insurance Policy in the full amount of the purchase price issued by Rich Land Title Company, located in Logan, Utah, and underwritten by Stewart Title Guarantee Company. The Seller reserves the right to effect an IRC 1031 tax-deferred exchange and will pay all associated costs. This entire Offering is subject to errors, omissions, prior sale, change or withdrawal without notice and approval of purchase by the Seller. Information regarding land classifications, acreages, carrying capacities, crop yields, potential profits, etc., are intended only as general guidelines and have been obtained from sources deemed reliable; however, accuracy is not warranted or guaranteed by the Seller or Swan Land Company. Prospective Buyers should independently verify all information to their sole and complete satisfaction.